Mahali Mzuri (which means beautiful place in Swahili) will be located in the Motorogi Conservancy within Kenya’s famous Masai Mara ecosystem. Perched on the side of a lush valley, there will be 12 spacious luxury tents (including 2 family ones able to sleep 2 adults and 2 children) with private decks and captivating views over the rolling plains. There will also be an outdoor infinity pool, guided game drives and spa treatments in the bush. In the area there’s an abundance of resident game all year round and the camp will also be ideally located to view the amazing annual Great Migration, where up to one million wildebeest, zebra and gazelle undertake a journey from the Serengeti to the Masai Mara. During the day there’s plenty of time to relax and recuperate from your early start. Plus, safaris are not just about the Big Five - the bird life, vegetation and other land creatures are just as much part of the experience. Mid-afternoon you’ll set off for the second game drive; part way through the proceedings, things will come to a halt for sundowners - what better way to savour a G&T than watching animals cross the plain silhouetted against the setting sun? Back at camp, before your candle lit dinner, join other guests around the campfire for pre-dinner drinks and stories of the days’ sightings. It’s all very civilised and an amazing experience. 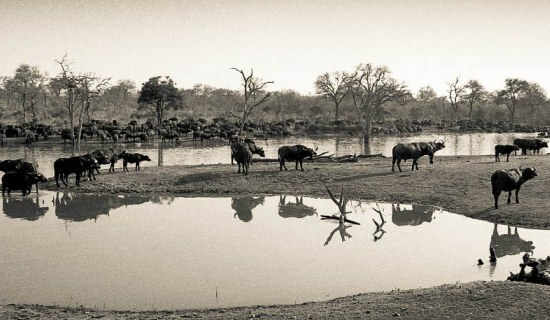 Safaris are a great trip with children in tow as well. Seeing your children’s eyes light up as they first spot an elephant, leopard or giraffe in the wild is something you (or they) are unlikely to forget. The trip can also be a great learning experience from the intricacies of how to track animals to visiting local villages and learning about the flora and fauna. You’ll need to pick the right camp; you want one that caters especially for families with child-friendly activities, and you need to think about whether you want a malaria free camp. For honeymooners (as the Hubby and I were) a safari can be a truly magical and romantic experience (even with the early morning calls) from star gazing to breakfast on a sand bank to watching animals from your own private plunge pool. A honeymoon in Africa can be everything you've ever dreamed of but pick your camp well - to add to the romance, the smaller the better and definitely adults only! A safari in Africa can be combined with the stunning beaches of places like Mozambique, Zanzibar and Mauritius. Or you can add it on to a tour of the other delights of South Africa such as Cape Town and the Garden Route. For more combinations read my 5 Reasons to Visit South Africa. Africa is a beautiful place to visit all year round. However, if you want the best chance of seeing the wildlife then travel during the dry season (May to October). 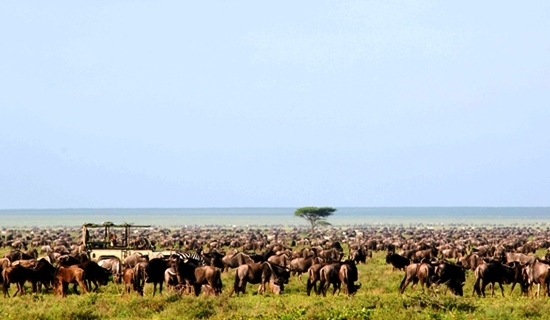 The Great Migration takes place from late June to October. If you'd like to sample Mahali Mzuri in 2013 or have a hankering to visit Kruger then please contact me and I can give you some more ideas and design a bespoke and truly special itinerary for you.